Have you ever thought of one day having a classroom where every student is learning at his own pace, his own learning style and learning goals? I’ve dreamed of the day when all of this happens. In search of that dream, I started to explore: What does differentiation mean? How can I ensure that my students are getting what they need? As I started my journey of understanding differentiation, Bloom’s, Costa’s Taxonomies, and individual goals for my students, I’ve discovered that the 4C's are at the core of differentiation. Not only collaboration, but the 4C's altogether. 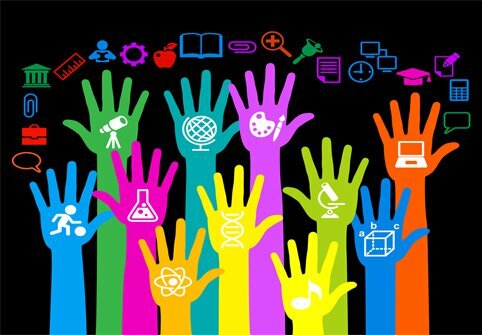 In this website you will find some resources I found on how to differentiate instruction through the 4C’s (Collaboration, Communication, Critical Thinking, and Creativity). In my attempt to become a better teacher and to better understand what it means to prepare students for the 21st century, first I needed to learn how to implement the 4C’s. I stopped right there and focused on differentiation through collaboration. Through reading research based books and journals, I realized that Collaboration is key for differentiation. For some teachers differentiation comes as second nature, but for me I knew it was more than just doing small group instruction or providing visual aids, books on tape, or hands on activities. As I began this research project through the Innovative Program the picture became more clear. I found out that our students need careful scaffolding and explicit direct instruction on how to collaborate, communicate, think critically and how to be creative. We are in the 21st century. We cannot afford to just read about how to, but we need to do it as we go. Technology is vital in preparing our students for the 21st century. ​Collaboration is one of it's key components. I am far from being an expert at this, but this project is my new challenge. I will continue to find ways to innovate and to inspire my students to collaborate either through technology or in small groups in the classroom. I hope I can be of help to you as well.